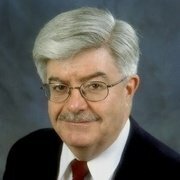 Richard K. Betts is adjunct senior fellow for national security studies at the Council on Foreign Relations (CFR). At Columbia University, Betts is the Arnold A. Saltzman professor of war and peace studies in the political science department, director of the Saltzman Institute of War and Peace Studies, and director of the international security policy program in the School of International and Public Affairs. His areas of expertise include international conflict, U.S. defense policy, military strategy, political and military intelligence, and terrorism. Previously, Betts was a senior fellow at the Brookings Institution until 1990 and adjunct lecturer at Johns Hopkins University's Paul H. Nitze School of Advanced International Studies. He has also served at different times on the Harvard faculty as lecturer in government and as visiting professor of government. A former staff member of the original Senate Select Committee on Intelligence (the Church Committee), the National Security Council, and the Mondale Presidential Campaign, Betts has been an occasional consultant to the National Intelligence Council and Central Intelligence Agency, served for six years on the National Security Advisory Panel for the director of central intelligence, and was a member of the National Commission on Terrorism (the Bremer Commission). He lectures frequently at schools such as the National War College, Foreign Service Institute, and U.S. Military Academy. He was honorably discharged as a second lieutenant from the U.S. Army in 1971. Betts's writings have earned five prizes, including the Woodrow Wilson Award of the American Political Science Association for the best book in political science. His first book, Soldiers, Statesmen, and Cold War Crises, published by Harvard University Press in 1977, was issued in a second edition by Columbia University Press in 1991. He is the author of three books published by the Brookings Institution: Surprise Attack, Nuclear Blackmail and Nuclear Balance, and Military Readiness; coauthor and editor of three other Brookings books: The Irony of Vietnam, Nonproliferation and U.S. Foreign Policy, and Cruise Missiles: Technology, Strategy, Politics; editor of Conflict After the Cold War, second edition; and coeditor of Paradoxes of Strategic Intelligence. Betts has published numerous articles on foreign policy, military strategy, intelligence, conventional forces, nuclear weapons, arms trade, collective security, and other subjects in journals such as Foreign Affairs, International Security, World Politics, Political Science Quarterly, Survival, and International Studies Quarterly, among others. Born in 1947, he received his BA, MA, and PhD in government from Harvard University. Betts is married to Adela M. Bolet, has three children, and lives in Teaneck, New Jersey. The winner of the 2012 U.S. presidential election will have to determine the scope of defense policy ambitions under strong pressure to restore domestic economic solvency, which will "overshadow" policy questions, says CFR’s Richard K. Betts. Which policies have worked and which ones need work ten years after the worst terrorist attacks in U.S. history? CFR experts examine ten issues that have preoccupied U.S. planners. Defense-spending cuts should be a big part of a deficit reduction deal, says CFR’s Richard Betts, with the Pentagon pursuing a budget that reflects a reduced threat environment and limits the production of expensive, state-of-the-art equipment. Failures to stop the recent U.S. airliner bomb plot and the destruction of a CIA base in Afghanistan illustrate inherent problems in intelligence gathering, and al-Qaeda’s impenetrability, says CFR’s Richard K. Betts. Richard K. Betts, a CFR expert on the intelligence community, says that he sees no reason that the nomination of General Michael V. Hayden to head the Central Intelligence Agency should be blocked by Congress because of his military background. But he says that "there’s a powerful reason to consider opposing the nomination," citing Hayden’s role in domestic wiretapping without proper warrants by his National Security Agency.